Greenwich Linen Supply is proud to supply a high quality professional linen and workwear hire service to businesses in London and beyond. We are an established family run business that has built its reputation on providing our clients a bespoke personalised service and very competitive pricing across a range of products. All businesses run differently so we pride ourselves on communicating with our clients to insure we understand all their needs and requirements. Allowing us to always deliver on time, be flexible and remain cost effective. We even provide an emergency contact number available outside of normal work hours dedicated to resolve all client queries and issues, so that all our clients can have peace of mind. 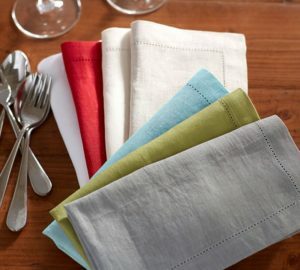 Greenwich Linen service is an established family run company with decades of experience supplying linen and work wear across London and surrounding cities. Highly regarded for its quality, service and industry knowledge. © 2017 Greenwich. All Rights Reserved.